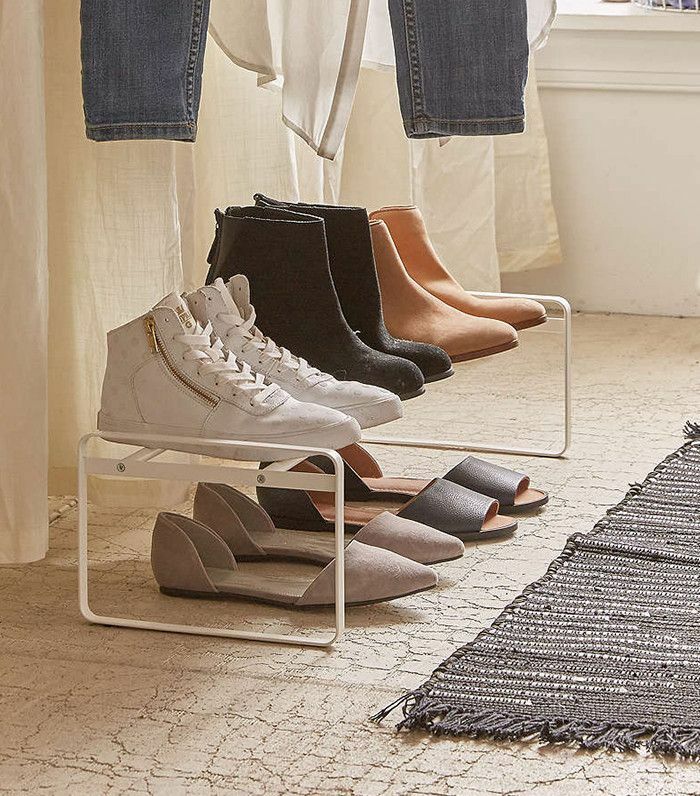 When you love fashion as much as we do, closet organization can become a major problem, we know. It's okay, though—we're all guilty of having a cluttered wardrobe! Lucky for you, it's our job to share all the best style secrets with you, and that includes how to organize a lovely wardrobe. The latest advice comes from our friends at SheFinds, who introduced us to the genius "rule of five" for decluttering your home. It's pretty simple—just remove five items from every room. Naturally, the first thing we thought of is how best to apply the concept to a closet. We suggest discarding five pieces at a time, reevaluating things the next day to see if you can remove five more, and so on. Taking it one day at a time makes the task feel way less overwhelming than trying to tackle your whole wardrobe at once. We're definitely going to try it out ourselves this weekend! Now, scroll on to shop some of the best closet organization items to help out your closet. What's your best advice for cleaning out your closet? Share with us in the comments below!